Welcome to my Ancient Egypt Site. I created this site for a school project. 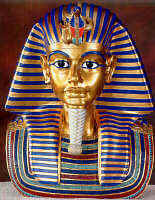 Also for others to view and learn about Ancient Egypt. Please feel free to look around and also look at the amazing pictures I have found! My Site is based on Ancient Egypt Rituals & Beliefs. The Ancient Egyptians strongly believed in the After Life. When Upper Class people died they were baried with there belongings such as jewllery, food and sometimes even with there organs in Canopic Jars. Peasents thought they had to fight monsters to get to Osiris.